Susan Clark, Arnold Jarvis, Gazeebo, Alexander Robotnick, Captain Rapp and more. 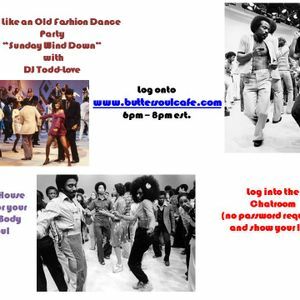 DJ Todd-Love spins some of the classics inspired by the Paradise Garage and the New York Underground House Scene on www.buttersoulcafe.com Catch the "Sunday Wind Down" every week from 6pm - 9pm est. Nice set Todd. Please tell me what George Benson &apos;Give me the night&apos; remix that is about 10:00 in the mix. I <3 it. Thank you Michelle. Blessings to you.